SAVE TWO THIRDS! YES, you can build your own boat & SAVE TWO THIRDS of the cost of a factory built power or sailboat, YOU can prove it ... Just order the STUDY PLANS of your choice and cost out the COMPLETE BOAT. Build your own & you SAVE 50% of the cost of a USED boat & you do not even have to do all the work yourself to save. Check out what customers have to say about our designs & our 24/7 service, PLUS see the links to the beautiful boats they have built with our help ! SEE SEE - WHAT'S NEW ! Dear Bruce, We are very pleased to announce that we have completed the construction of ship TY 57 by project that we have bought from you. Your project is excellent! 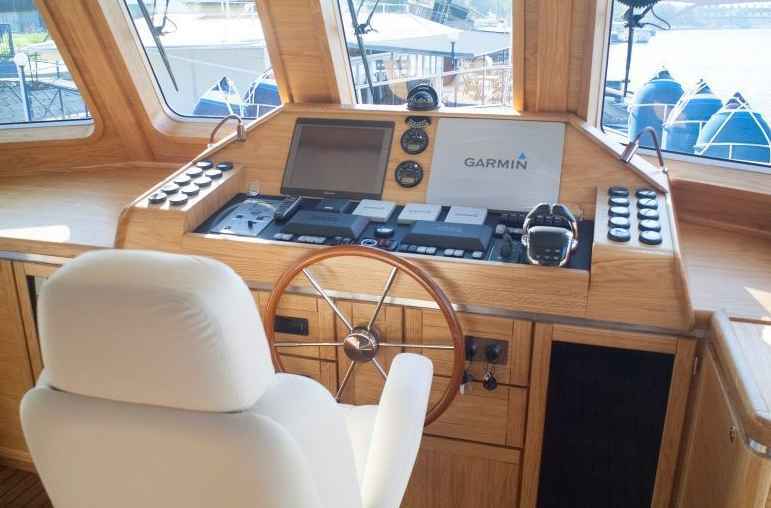 The ship behaves great on the water and has excellent driving characteristics. We are sending you a detailed description and photographs in attachment. Our intention is to sell this ship and then make the next one, probably the bigger TY 62. Therefore, we would like to ask you to put the photographs and the description of the ship on your web site. TY 57 SHOAL DRAFT TRAWLER ! The client required a guaranteed 20 knots so as is our usual practice, we designed this vessel to perform at the speed required plus a small safety margin ... 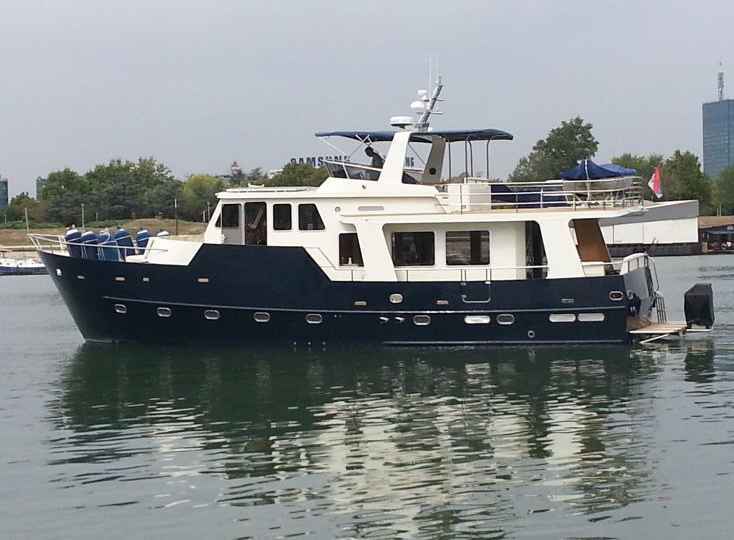 The results ... this Trawler 57 has now been successfully through her speed trials where she averaged 22 knots as designed and exactly as we predicted considering the power available. PLUS you receive a FREE (value 79.95) e-book BUILD YOUR OWN BOAT .. Please note that when you receive your credit or debit card statement the amount will be converted to YOUR local currency. 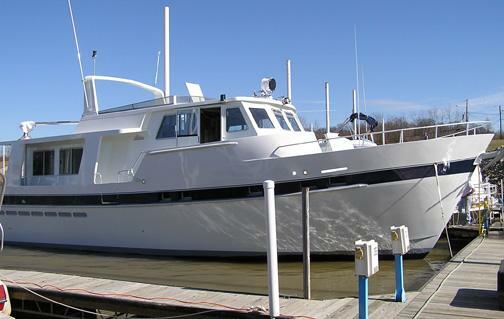 Voyager TY 57 - This is an ideal boat for those where their cruising area needs a great shallow draft trawler. This kit is available for building in Steel or Aluminum and the first version has a twin tunnel shoal draft hull designed to operate at up to 25 knots. We have now delivered the first kit. We also supplied a complete set of windows as part of the package. 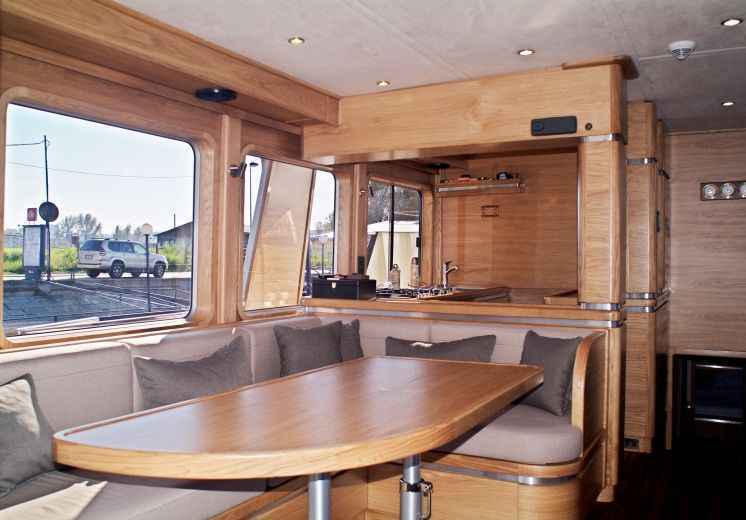 NEW PASSAGEMAKING DESIGNS: This is your opportunity to have your own passagemaking 'Voyager' designed and built at an affordable price. Now is your opportunity to put those pieces together into one boat that you REALLY like ! Consider customizing one of our new designs. Bring us YOUR ideas. 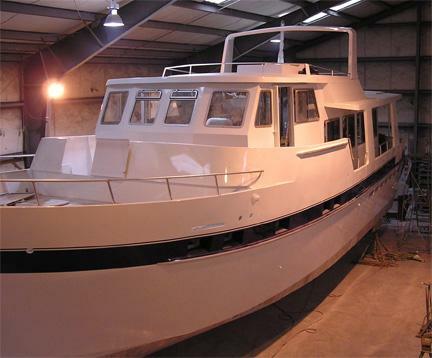 We can offer Steel or Aluminum boat plans and Cutting files, CUT-TO-SIZE KITS or Part-Built or Complete Boats. 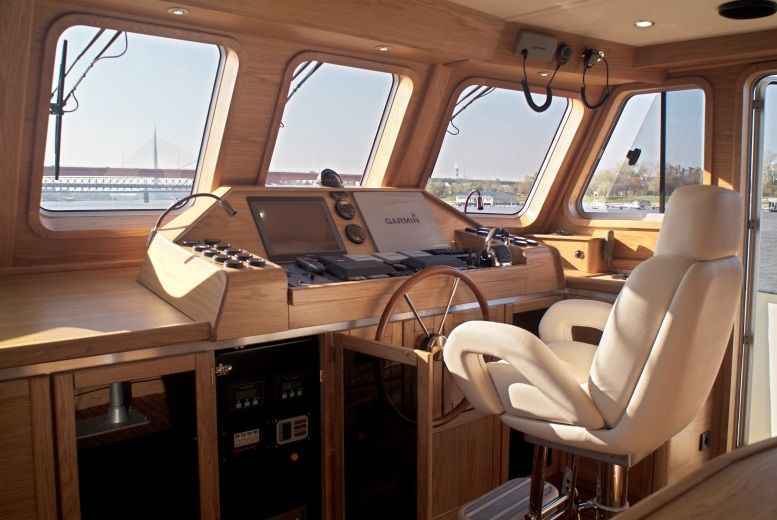 The Trawler Yacht 55 is already a popular design and we have sold a number of sets of cutting files and kits for this serious offshore vessel. Plate parts are cut from ... MARINE ALUMINUM OR ...Lloyds approved A Grade Shipbuilding quality STEEL that has been coated with factory applied Sigma weld MC welding primer. We use and recommend steel plate that has the official designation ISO standard 10474 or EN 10204 with 3.1.B certificate. L.O.A. 17.57 m 57' 8"
L.W.L. 15.55 m 51' 0"
DRAFT (Twin tunnel shoal draft version) 1.52m 4' 0"
Artists impression of the TY 57; you can see that this boat has lived up to the promise shown above. Below decks accommodation and engineroom areas. 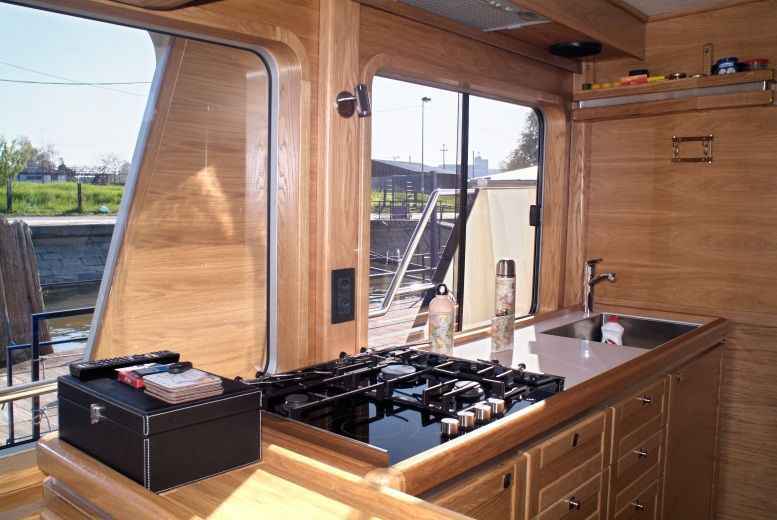 Note there is excellent headroom in Saloon, Engine room & in Forward sleeping accommodation. Note the tunnels aft - This comes formed as part of the kit. TY 57 hull deck and superstructure assembled from Bruce Roberts kit. LETTER FROM A CUSTOMER WHO IS BUILDING FROM ONE OF OUR KITS. My boat building is coming along fine. Everything is fitting nicely as it should. 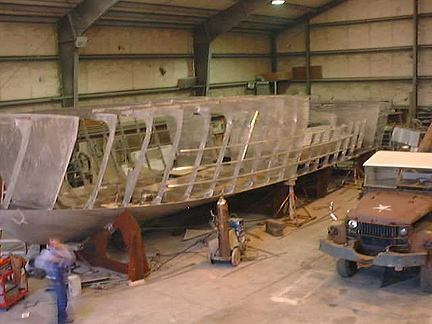 My crew is excellent and they are enjoying building a boat like this (regards to restoring old boats). The yard is next to the *"Swedish Maritime Administration" and there people were surprised with the speed that the boat has been developing. They thought that we have had 10 persons for several months when in fact we have had three for a couple of weeks. 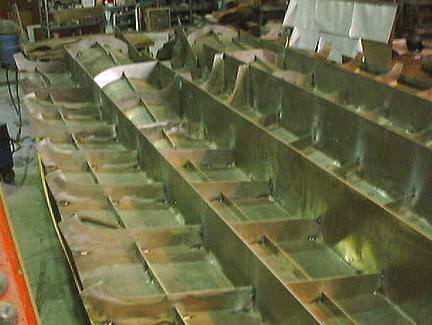 The hull and deck plates are in place and the wheelhouse is starting to take shape. We are estimating that we will start welding everything within a couple of weeks. We calculate that we will have the boats maiden voyage inn late spring. If you are going to the Nordic region in the fall or spring, please give us a call I would be proud to show what my crew has done with the kit you supplied. Long mail to get to the point but I wanted to inform you of something positive instead of coming with a lot of questions. The Voyager TY 57 is available as a kit in either aluminum or steel. 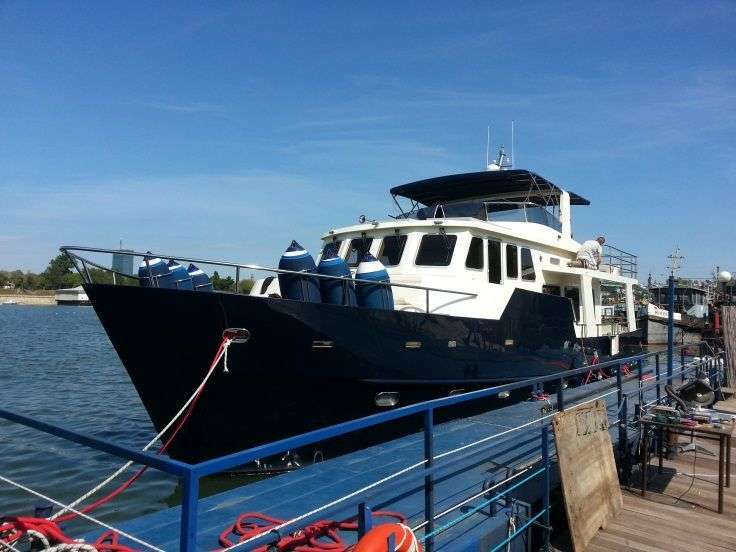 If you are interested in a SHOAL DRAFT trawler yacht of this size and style now is the time to join in the design process for YOUR version of this vessel. Options include Aluminum or Steel construction, single or twin engines.